Ranty? Militant? Angry? Why, those are adjectives that would seem to describe a great many of us in our present, often divisive cultural and political era. 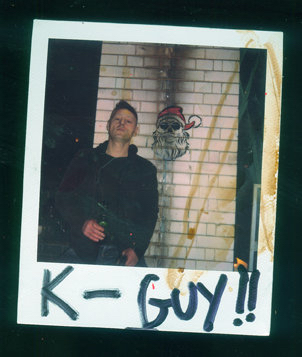 However, K-Guy – also known as Kevin Guy – is not just another in the recent stream of creatives to have found an ‘edgy’ persona amid the emergence of such polarising public figures as US President Donald Trump. That’s not to suggest that K-Guy hasn’t produced his own memorable take on the legendarily orange-hued commander-in-chief. 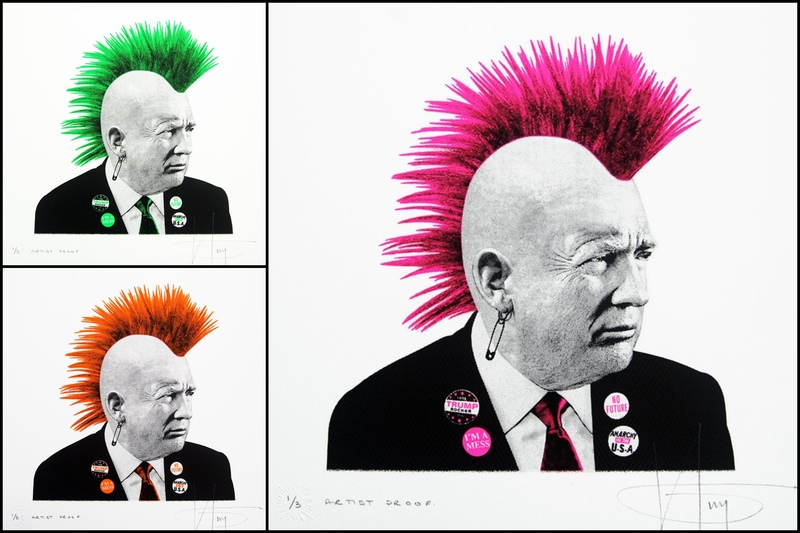 One of his recent silkscreen prints even showed the world’s most famously loose-lipped Twitter user wearing an orange Mohican and badges displaying such slogans as ‘No Future’, ‘Anarchy in the USA’ and ‘I’m a Mess’. 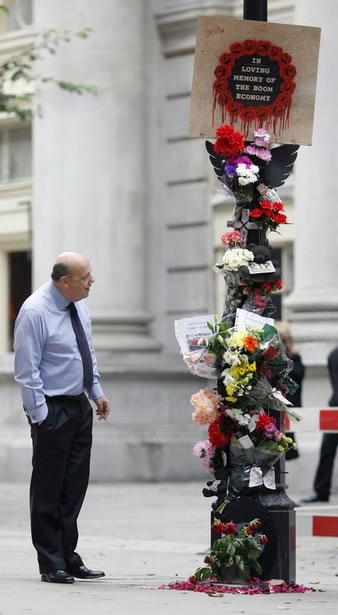 But the K-Guy who depicts the former Apprentice host with such little compunction is also the K-Guy who grabbed international headlines – and the attention of many a passer-by near the Bank of England – with surely his most famous work, the installation The Boom Economy Shrine. It constituted a characteristically withering put-down of a political class complacent towards, and sometimes actively participating in, some of the greatest excesses of our time. But is he such a revolutionary, really? If he is, he’s a quiet one in person, although that might suit him just fine. However, as unassuming as K-Guy may appear as a human being, he is not a street artist exactly given to strict boundaries. Yes, he is a more than adept handler of the aerosols and paste-ups that have long been the stock in trade of his forebears and contemporaries. But he is also a skilled creator of street installations and sculptural works that, while often representing ‘visual rants’, are never less than incisive. Let’s not take any such characterisations of street-artist-as-free-wheeler too far, though. K-Guy has, after all, described himself as pragmatic rather than fervently anti-capitalist. Furthermore, one might suggest that he has gained many fruits from the capitalist system he critiques, with a series of lucrative works – not least his collaboration with The Prodigy, which sold out almost instantly. 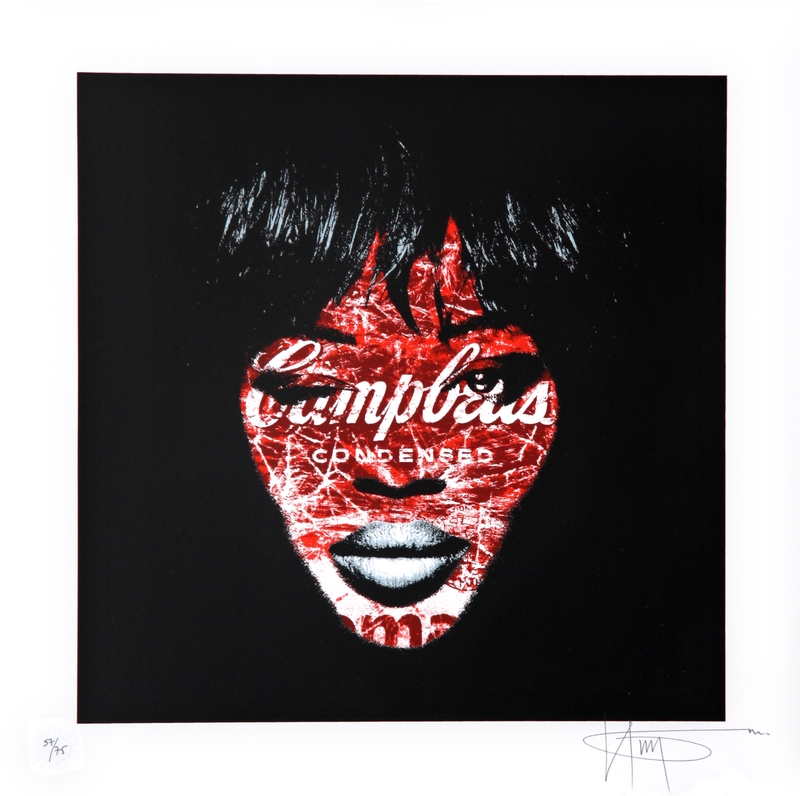 Whether it’s through such widely admired series as Coke Moss, Naomi Campbell’s or Pepsi Cara, K-Guy has consistently demonstrated his ability to blend popular-culture motifs with the seemingly effortless elegance of the finest 21st-century urban artists. But in the process of observing the hard-edged graphic style that you may think at first to mirror the aesthetic of almost any other prominent street artist, one can easily overlook the sharp analyses that his works also represent. Arty-Fact: In 2009, K-Guy created a sketch of supermodel Kate Moss, titled “Coke Moss.” His narrative triggered a public frenzy, but like all things creative, the portrait became an integral symbol of street art. He eventually auctioned the piece on eBay for an impressive AUD $5,000. In response to the overwhelming demand for his “Coke Moss” print release, K-Guy followed-up in 2010 with a new version – with a twist. “Coke Moss - Zero Kate” is the new “size zero” version. 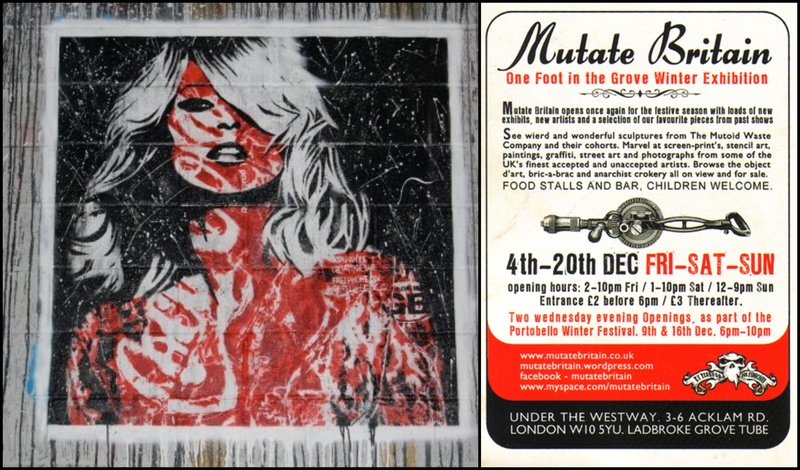 Arty-Fact: “Iconic Irrigation” was the title of K-Guy’s first solo exhibition held in 2011 with London West Bank Gallery. Branching out into Pop Surrealism, the artist portrayed a two-sided play on a number of popular icons – politicians, religious leaders, celebrities and corporate brands. “Campbell’s Condensed” is a great example of this concept, staying true to K-Guy’s brand of wry humour. Arty-Fact: K-Guy has used a range of platforms for his work and has noted that, "if there is a nice blank wall it is fair game." Although he shuns the idea of being anti-capitalist due to his pragmatic tendencies, K-Guy is not averse to calling out the excesses of our time. Fair enough, so this is a man who has scored no shortage of worldly triumphs in his career as a professional artist to date. He was, for example, a key player in the MuTATE Britain One Foot in the Grove exhibition that showcased 15,000 square feet of street art, giant sculptures and installations in the open area in the Ladbroke Grove area of London. 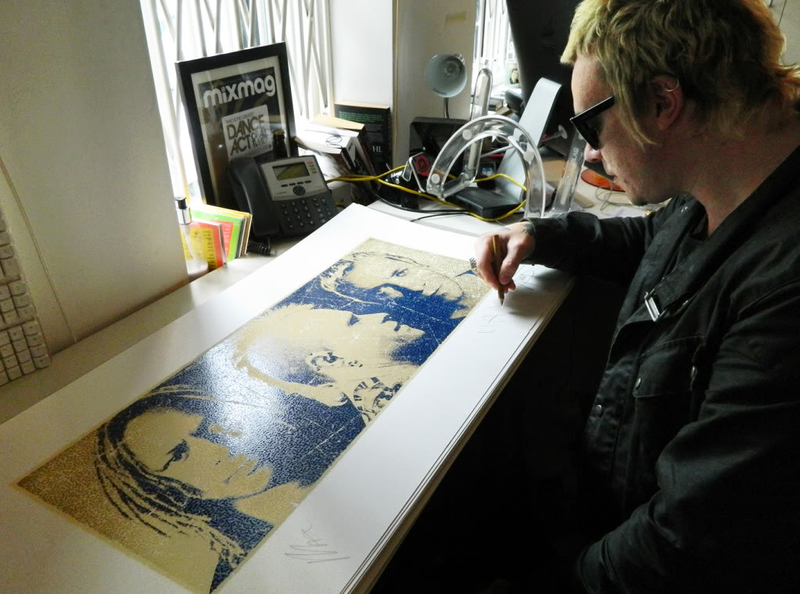 He has also exhibited internationally, and had his work featured on the walls of more than a few rock stars and media celebrities. But for all of this, he is still K-Guy, always ready with a new and witty slant on not only that monstrous politician or that fast-food outlet that’s turning us all fat, but also religious leaders and even entire economic systems. 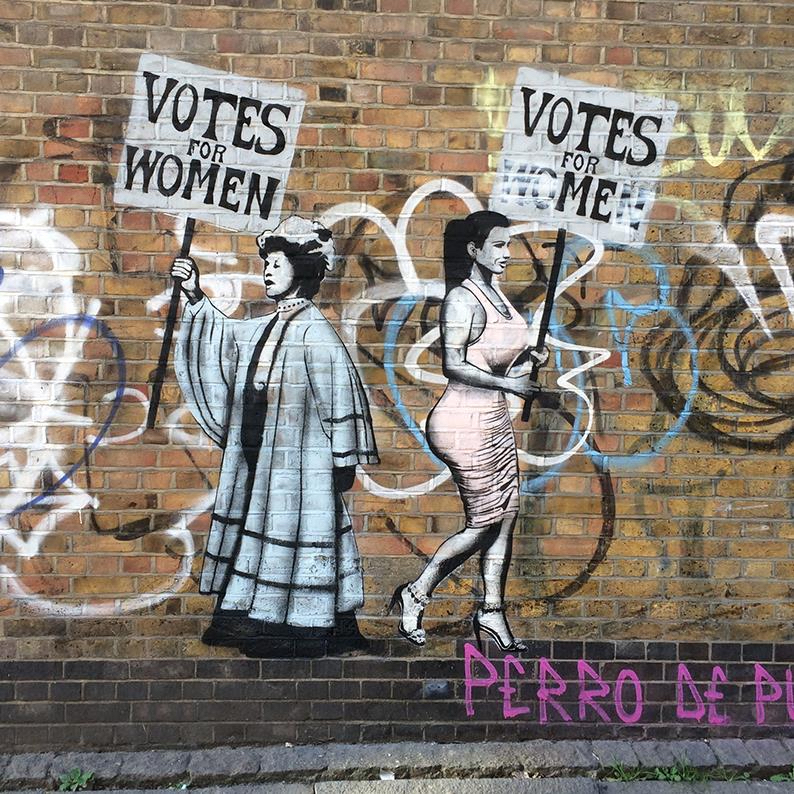 There aren’t too many street artists who have covered such vast and sometimes taboo territory with this still London-based practitioner’s astuteness and insight, which is precisely why we are so delighted to have him as ‘Artist of the Week’ here at Addicted Art Gallery. To bring it all back to an expanded version of the quote with which we opened this piece: “We are all prostitutes and junkies! Remember that when you’re trudging through the rain to work supping your skinny latte.” K-Guy isn’t in the club of those who borrow their visual language from the street, while actually representing the bourgeoisie. What he knows, instead, is that the high is effectively the same as the low, and that regardless, it all deserves your critique.